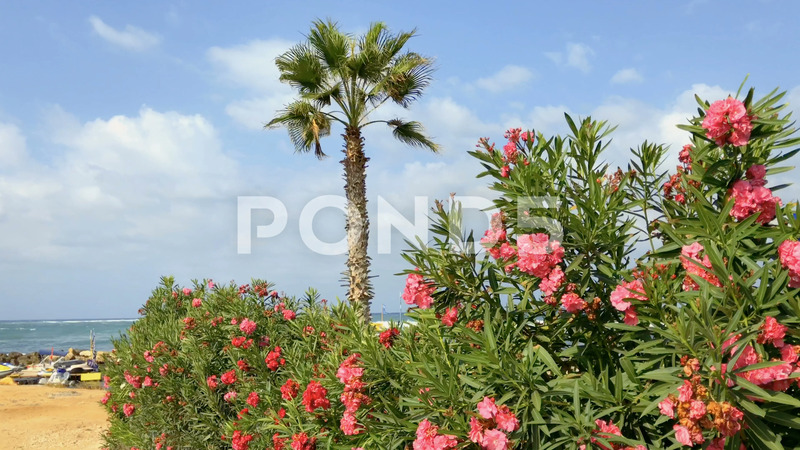 Description: Beautiful bush with pink flowers and palm behind it against sea background. Camera moves from right to left. Waves covers sand beach. Closing parasols and deck chairs stands on green lawn.